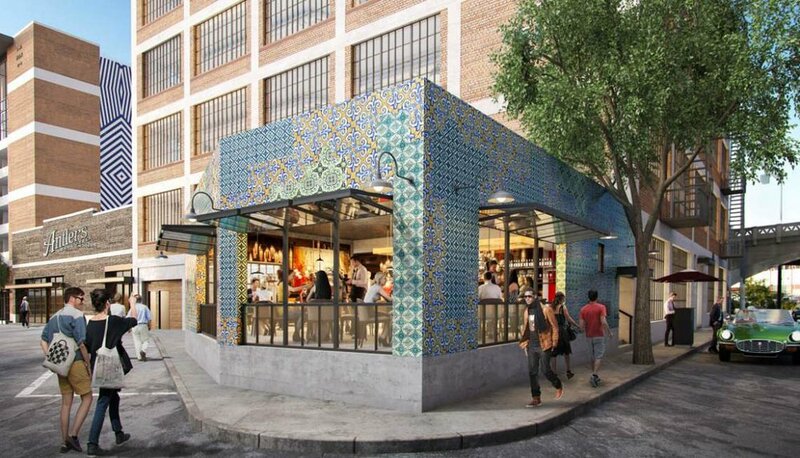 Los Angeles-based real estate investment trust Hudson Pacific Properties is putting the finishing touches on The Maxwell, its latest office development in the Arts District. The project, located at 405 Mateo Street, reactivates the 1920s Maxwell Coffee Building with nearly 60,000 square feet of offices with ground-floor commercial space. The reuse component of the project, which is being designed by Ware Malcomb, will create maximum 10,200-square-foot floor plates with operable steel-frame windows. The building will be capped with a rooftop deck. On the other side of the block at 1003 E. 4th Place, HPP is building out a new eight-story structure that will feature a 210-car parking structure capped by approximately 37,000 square feet of office space. Architects Orange is designing the ground-up portion of the development. The project also incorporates a small one-story structure between the old and new buildings, which is being repurposed as commercial space. 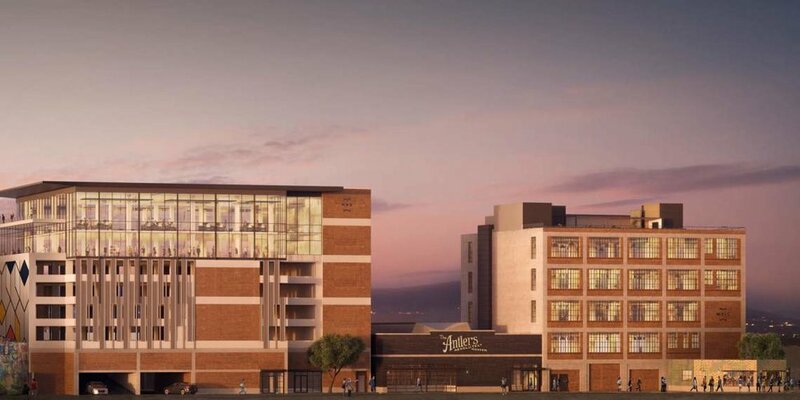 The Maxwell is the second major Arts District development for Hudson Pacific Properties, which recently completed its rehabilitation of the historic Coca-Cola Building at 4th Street and Traction Avenue. Honey, a home-grown tech company which makes an online coupon tool of the same name, has leased the entirety of the 130,000-square-foot property to serve as its new headquarters. HHP is building out The Maxwell in an area with a robust pipeline of under-construction and proposed developments, including the 472-unit Aliso apartments which are nearing completion next to SCI-Arc, and a proposed 35-story office and residential development by Carmel Partners at 520 Mateo Street.